Nursery Ninjas ® is a one-of-a-kind interactive age-specific curriculum designed for toddlers. KARATE EXPERIENCE YOU CAN TRUST! 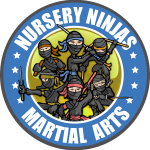 Our certified nursery ninjas martial arts instructors our are experts in their field. Nursery Ninjas is the creation of the Viola family. Sensei Bill Viola Jr. and his wife Jenn created the custom one-of-a-kind curriculum that focuses on toddler age children. Jenn also founded highly popular 123mommyandme, a parent bonding class. 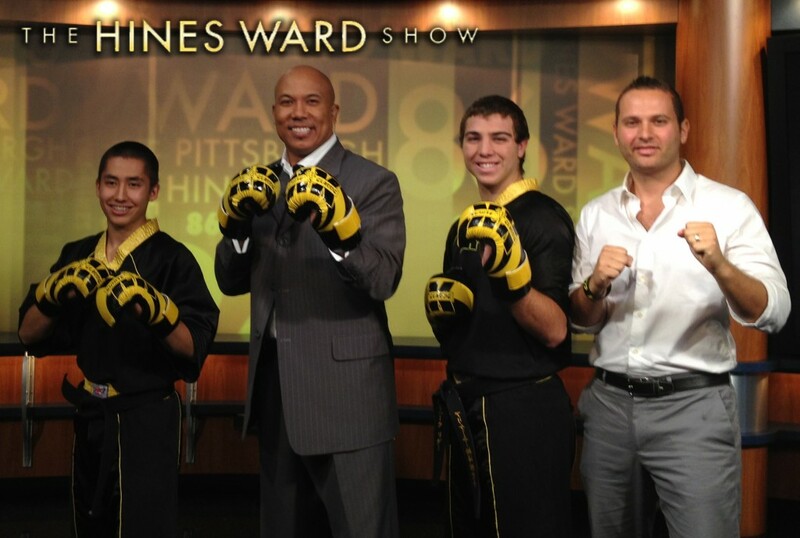 The award winning kids karate class serves the Irwin, North Huntingdon and the greater Pittsburgh area. Nursery Ninjas is the sister program of Norwin Ninjas (5-7 year olds) and under the Umbrella of Allegheny Shotokan Karate established 1969 by Sensei Bill Viola Sr. 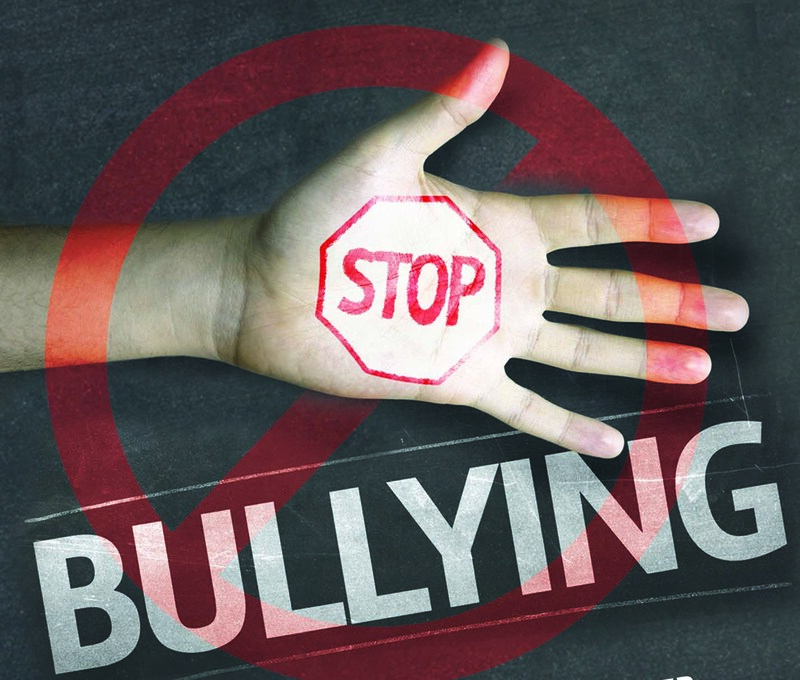 Classes are held at 12591 US. Route 30, North Huntingdon / Irwin, PA 15642. The school is located underneath the GDC Jewelry Plaza (lower level) parking around back. Across the street from Spitz Auto and next to Flynn Tire. 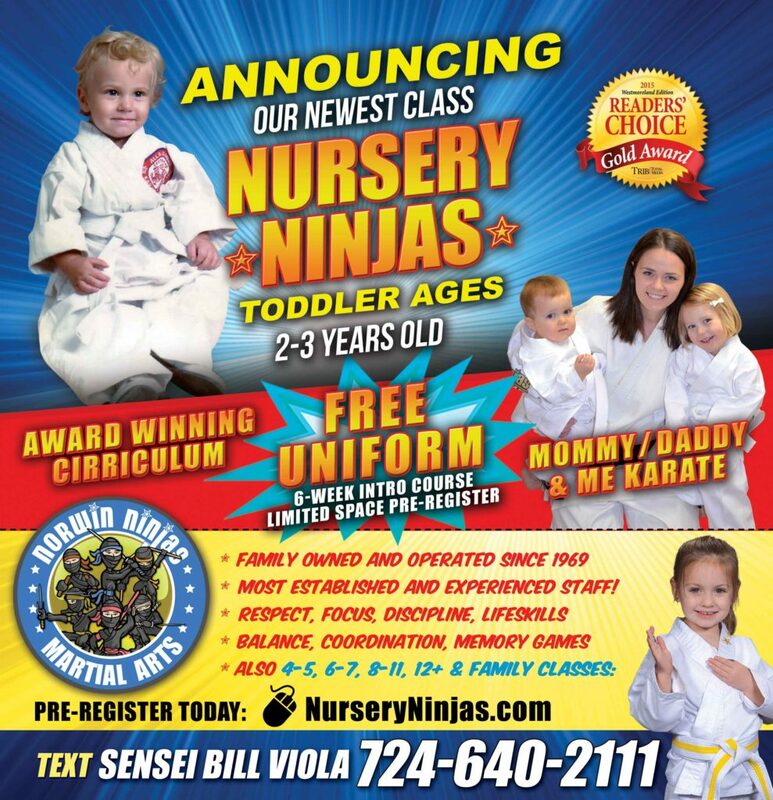 Nursery Ninjas is the only class of its kind in the Pittsburgh region. We also offer private lessons, workshops and demonstrations. Call to schedule.